Ecosystem services are the benefits that people gain from nature and the natural environment. Explicitly considering these benefits can inform land-use planning and conservation projects. Over recent years, SxBRC has developed expertise in using the EcoServ-GIS toolkit (Developed by Durham Wildlife Trust) which models a range of ecosystem services (including air purification, carbon storage, local climate, noise regulation, pollination, water purification, accessible nature, education and green travel). 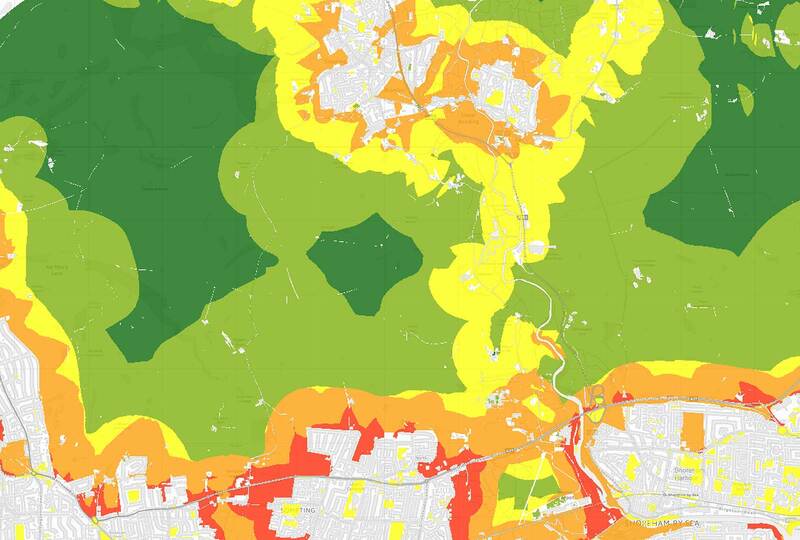 In recent years, SxBRC has seen growing demand for ecosystem services mapping. Modelling was completed for several landscape areas including the Arun & Rother and the Ouse catchments. The models have also been run for various local authority administrative areas, as well as the South Downs National Park. 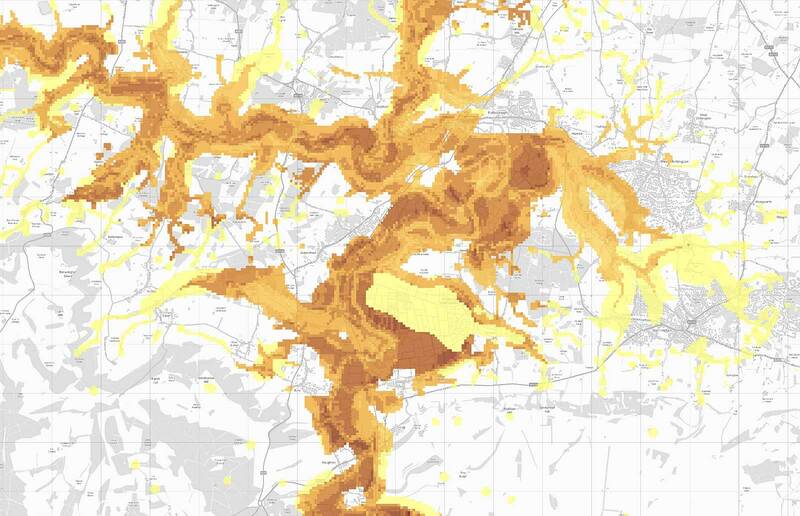 SxBRC has in previous years conducted a number of habitat potential modelling exercises, using GIS raster overlay methods to identify areas in the county suitable for creation/restoration of specific wetland habitat types, as well as other habitats such as Lowland Calcareous Grassland, and Lowland Heathland. Modelling has been conducted for specific river catchments, as well as for the South Downs National Park area. Results of such modelling can be used to help direct on-the-ground efforts arising from habitat restoration/creation projects.